Warning! Sorry, property # 714 unavailable now! 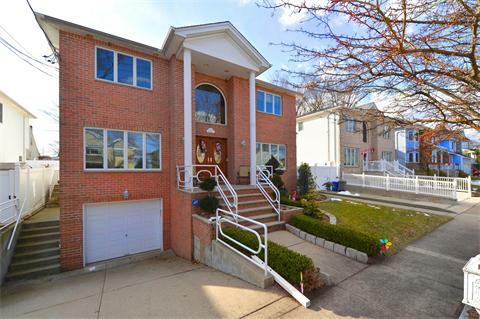 Perfectly situated among the charming frame homes in prestigious Eltingville sits this sensational Side Hall Colonial with open sun-filled spaces and sophisticated architectural details, perfect for today’s family living and effortless entertaining. An inviting front-to-back entry sets the mood with tastefully painted walls, decorative fireplace, hardwood floors and flows with relaxed ease to perfectly proportioned formal rooms. 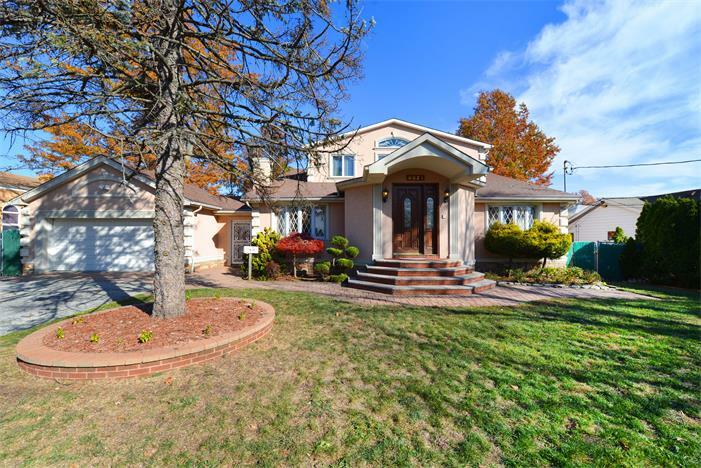 Currently configured as a large 4 bedroom 4 bathroom “owners triplex”, the home has it all! The main level is comprised of well-proportioned living room with bay window, formal dining room, a warm family room with private bathroom and outdoor views, the immense kitchen with modern cabinetry, high-grade stainless steel appliances of a master chef’s choice and an adjoining dining area. The space is ideally laid out in a very efficient and inviting manner. The Eat In Kitchen with tons of cabinets and counter space is ready for an update with your personal touch. The top floor offers a great sun-filled master bedroom with en-suite bathroom, cathedral ceiling, two double door closets in addition to three more bedrooms sharing a full bathroom. Above it all is a large attic with stair access. 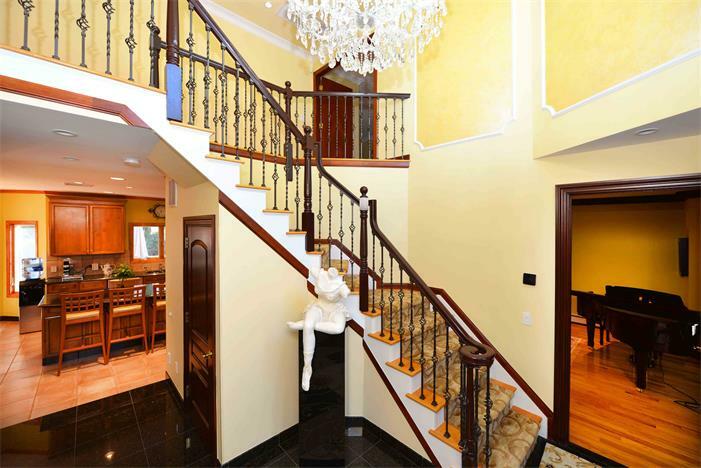 And down below, a well designed completely finished basement with handsome marble floors, great ceiling heights, ample storage space, laundry room and a bathroom for extra comfort. Mechanically superior, loaded with solar panels and in great shape, this house is ready for many years of carefree enjoyment. 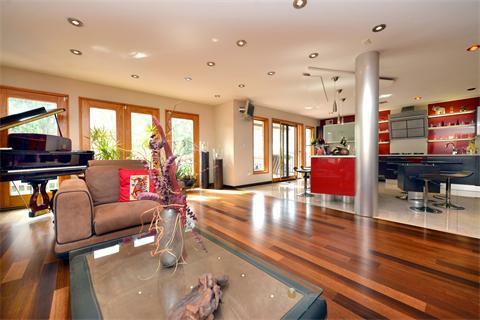 The extra large backyard with wooden deck and an exotic tree is accessible through the main floor family room area. It’s convenient to some of the best neighborhood shops, schools, recreation, cafes and services. Even more convenient for you and all visitors -- the garage accommodates one car and the driveway parks two. 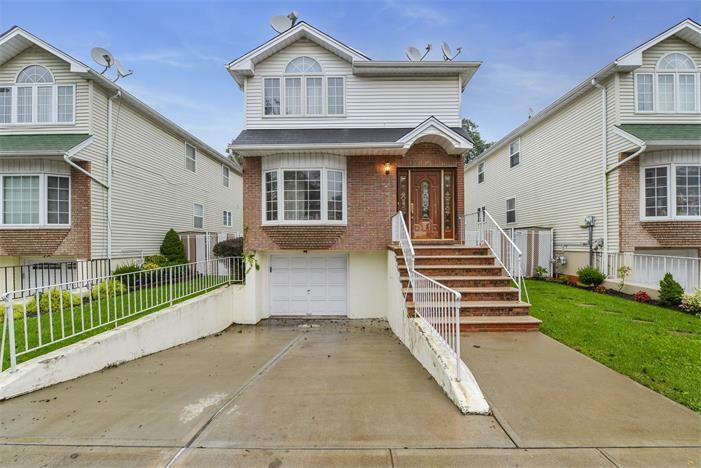 Enjoy gracious living like nowhere else but here in Eltingville.